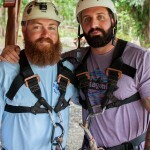 Sixteen veterans, owning a proud legacy of service in our armed forces, journeyed to Costa Rica with Freedom Alliance. Some came with visible injuries—missing limbs, scarred faces—and some with emotional pain you can only see if you look long and deep. A few are still undergoing rehabilitation in various medical facilities, while others have either retired from service, or continue to serve in a military capacity. All are outstanding men, with incredible stories, whom we are privileged to know. We ushered our guests through airports, security, and customs, then through the Costa Rican countryside, to arrive at Los Sueños Resort and Marina, where a cluster of doting Freedom Alliance supporters waited to receive them. Many of these supporters own condos at Los Sueños, and they allowed us to house the vets and Freedom Alliance staff in their homes, at no cost. The resort corporate office also donated a condo. In addition to housing, the troops were given golf carts, which would provide transportation around Los Sueños, especially for those with mobility issues. Other donors stocked the condo kitchens with baked goods and Seattle’s Best coffee. 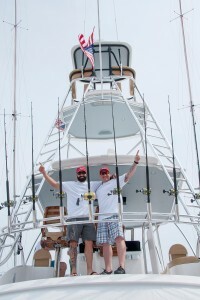 CR Primo Plus, a fishing and sportswear outfitter, gave each man three new shirts and a pair of sunglasses. Every evening, Los Sueños and its residents took turns hosting meals and pool parties, with the most delicious spreads. During the daytime, other donors and organizations provided entertainment, such as a river boat tour by Jose Eduardo, featuring gigantic wild crocodiles and abundant bird life; a zip line canopy tour; a golf clinic with PGA director Jose Quesada, who founded a program for disabled golfers; and a two-day fishing excursion, which was the combined efforts of many of the marina’s boat owners. 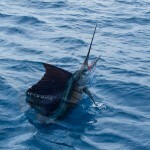 Seven yachts, each boasting an American flag, allowed the men to reel in sailfish, almost perpetually. On one day, one crew counted 29 sailfish, caught and released, and this was comparable to the numbers the other boats reeled in. 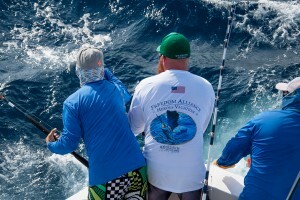 The guests were given Tunaskin Aquatic Apparel long-sleeve performance shirts for the fishing adventure, with stunning artwork given by Dennis Friel Art Studios. This was the third year for the Freedom Alliance Costa Rica Hereos Vacation, and yet the outpouring of generosity never ceases to astound us. 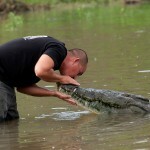 “The trip to Costa Rica was a once-in-a-lifetime experience. 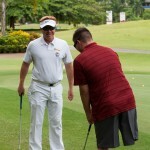 I’ve never felt more welcome and comfortable,” said Tom, a Marine who fought in Fallujah. 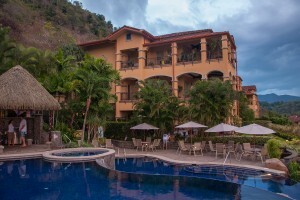 Freedom Alliance wishes to extend our thanks as well to the Los Sueños community and all our fine supporters in Costa Rica for giving our American heroes the highest standard of treatment and an unsurpassed, dream-come-true vacation.